Whether it's to make a sale, rally a team, or ask for a raise, framing a compelling and convincing message is essential. Nobody knew that better than William Shakespeare. 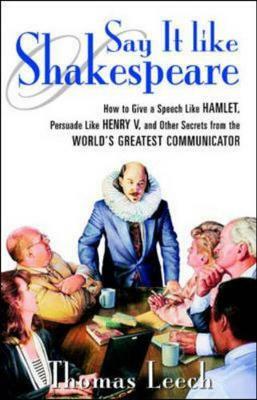 Inspired by this great communicator, "Say It Like Shakespeare" features powerful how-to's illustrated with examples from Shakespeare's works. Readers learn how to gather vital audience intelligence, develop a sound action plan, and more.